Fancy a Surf Charter aboard King Millenium to Telo, Nias & Mentawa ns Sumatra, Indonesia. 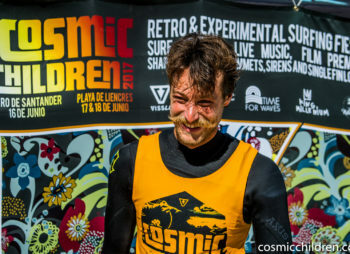 If you are the lucky one to win the Pro final of the Cosmic Children 2016, you will be head up to some of the finest waves on Earth. Best surfers from every different category will enter a great final in which will be decided who is the best rider and the greatest performance. Pro surfers of all ages and genders will go Single Fin or Twin Fin to get the prize. Special thanks to David Valladares and Poti for becoming part of our little Cosmic dream, and their awesome collaboration on the 11th Edition of the festival with such an incredible prize. Long life and prosper to the KM and good luck with the waves to the lucky winner. Photos: Great surfers such as Pablo Guti, J.M. Cabrera, Gony, David or Poti are on this pics. We bet they are all willing to surf their best to repeat their odissey at the King Millenium.